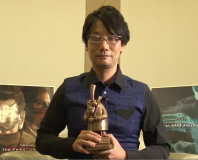 A new open-world entry to the Metal Gear Solid series has been unveiled by Kojima Productions during an event celebrating the 25th anniversary celebration of the franchise. Metal Gear Solid: Ground Zeroes debuted at the event running on Konami’s new Fox Engine. The demo showed off a twist in the stealth gameplay which has formed the backbone of the series and demonstrated the way it can transition into evasion beyond running and hiding. At the event, the demo ran on a high-end PC. Although the Metal Gear Solid series has traditionally been designed primarily for Sony’s Playstation consoles, the Fox Engine has been developed with both the Playstation 3 and Xbox 360 in mind. 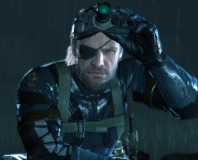 Konami is also aiming to position the engine for next generation consoles and cloud gaming. During the 25th anniversary celebrations, it was also revealed that the Metal Gear Solid film is back in production, with Sony-owned Columbia Pictures’ involved and Marvel comics film adaptation veteran Avi Arad attached to produce. Talk of a Metal Gear Solid film circulated back in 2008 with pre-production plans ultimately stalling, allegedly due to a disagreement over budgets. The next instalment of the Metal Gear Solid franchise, Metal Gear Rising: Revengeance, is scheduled for an early 2013 release and will feature ‘fan-favourite’ Raiden as its central character. Forgets the zombies he himself penned.